Looks like I’ll never catch up to Viki now… not sure if there’s still any merit in continuing these recaps, but for now, onwards! Mei Chang Su meets Jing Yan, Ni Huang, and Mu Qing outside the palace on the day of the competition. 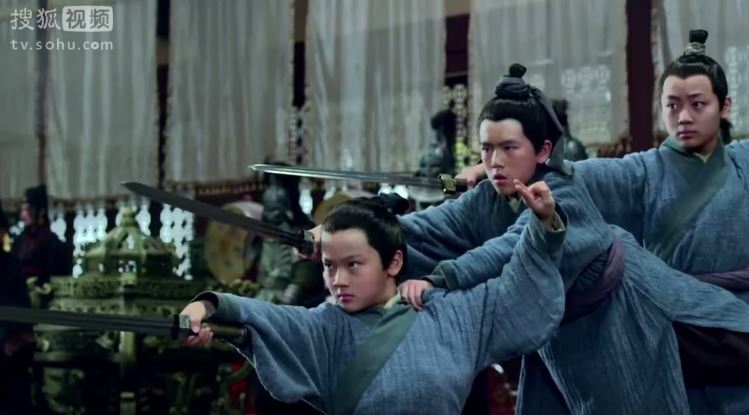 After briefing them on the progress of the youngsters, he remarks that the three of them bring a different air to the palace – due to their righteous, heroic stances brought back from battlefields. The sparring begins, as the foreign warrior feels as if he’s wasting his time and talent. 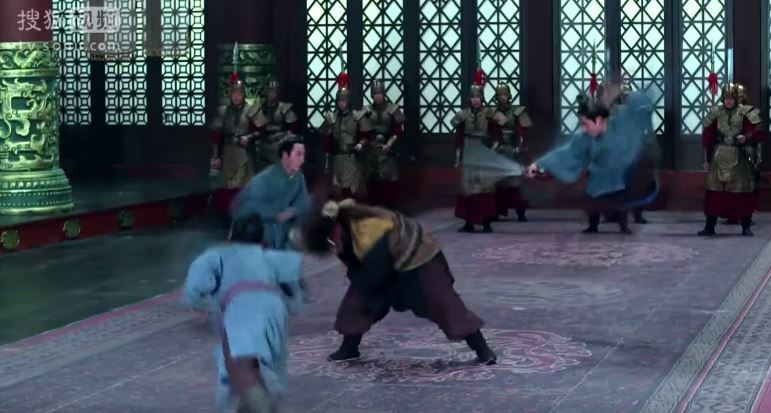 What follows is a prettily shot martial arts scene, and the well-trained trio handily beat the large man with speed and precision. Delighted, the Emperor proposes rewards for Mei Chang Su. 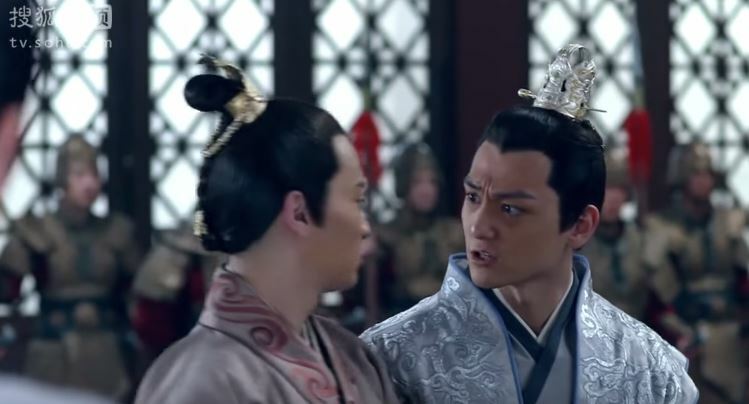 Mei Chang Su and Ni Huang argue for (and over) the freedom of the three boys, as the both of them want ‘ownership’ of the servants. The Emperor laughingly tells the two of them to figure it out, and Ni Huang claims the boys as hers. 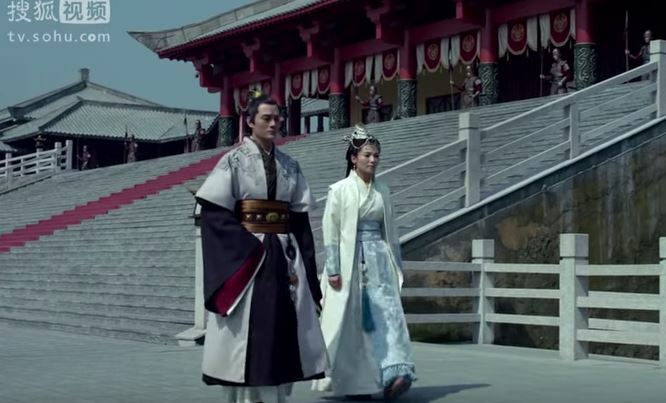 Outside the palace, Ni Huang transfers the responsibility of Ting Shen over to Jing Yan, which was Mei Chang Su’s motive all along. 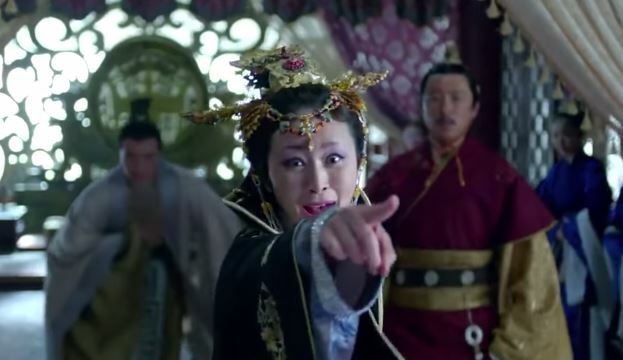 Remembering Princess Li Yang’s request, Mei Chang Su repeatedly warns Ni Huang not to stay too long in the Imperial Palace, and not to eat any food or drink that she is handed by the concubines. As if on cue, a servant girl approaches and invites Ni Huang to dine with the Empress on her behalf. With a slightly defiant look to Mei Chang Su, Ni Huang accepts and follows the girl away, much to Mei Chang Su’s chagrin. However, Ni Huang does heed Mei Chang Su’s warnings, and politely defers all of the food and drink offered. 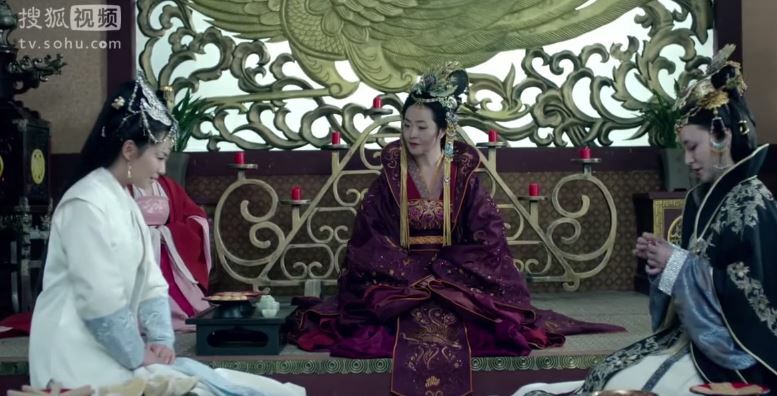 The Imperial Concubine laughs at the Empress’ failed attempts, and invites Ni Huang to wine and dine with her in her palace instead. Ni Huang follows. Worried, the Empress hurries to the Great Grand Dowager’s palace. 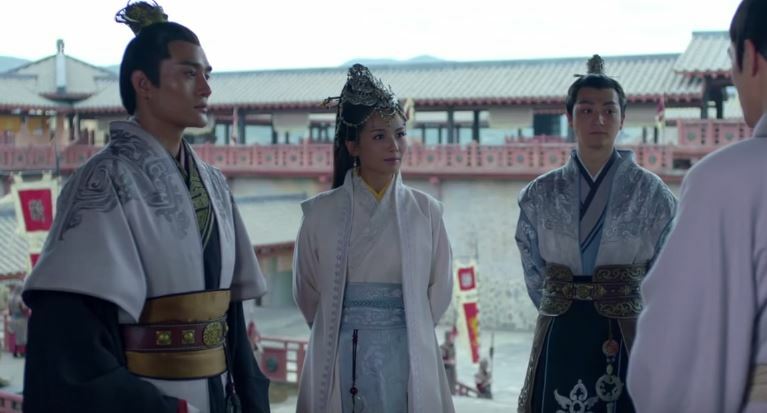 Upon hearing that Yu Jin is about to play ball with the suitor whom the Empress had recommended, Mei Chang Su belatedly realizes that he should have warned Ni Huang against the Imperial Concubine, and not the Empress. He falls, weakened, against the palace walls, and calls for Meng Zhi. 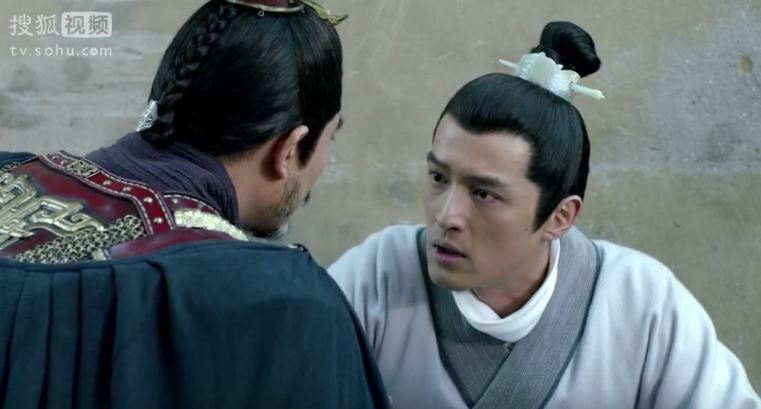 He relays his fears to the general, and tells him to save Ni Huang. 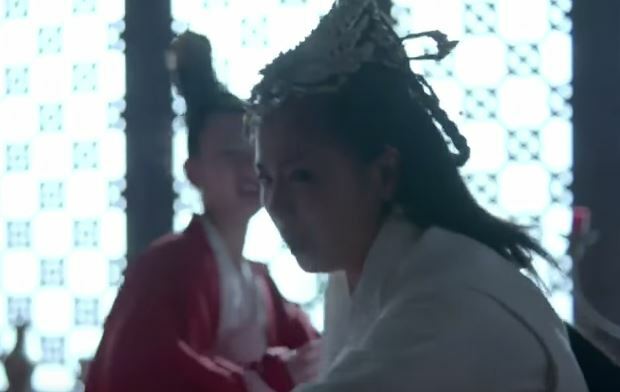 As Mei Chang Su feared, Ni Huang soon becomes under the influence of the wine, and tries to push her way out of the inner palace. 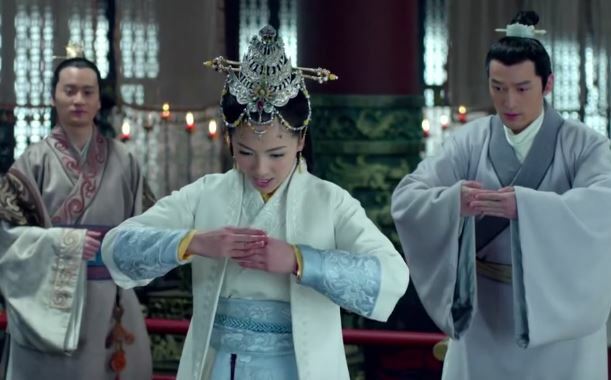 Concubine Yue calls on her proposed suitor to force himself on Ni Huang, but the girl continues her weak protest. She shoves her way out the door, and collapses in the courtyard. Xiao Jing Yan bursts through the courtyard doors, and rescues Ni Huang at the nick of time. 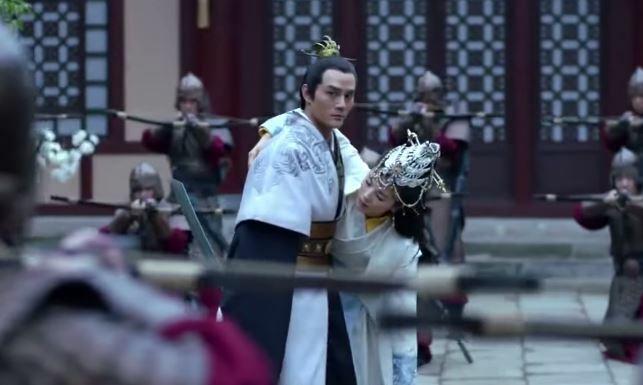 However, Concubine Yue has the pair surrounded by the palace guards, and under the threat of arrows, Jing Yan ‘captures’ the Crown Prince as hostage. At this moment, the Empress and the Great Grand Dowager also arrive, and look suspiciously upon the scene. 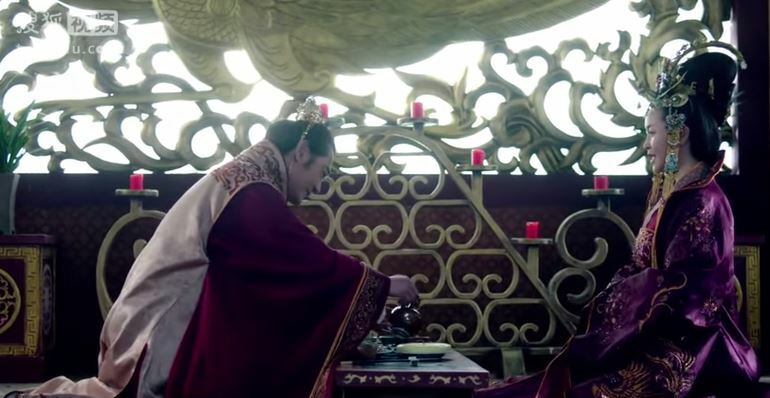 The Empress is seemingly aware of Concubine Yue’s plan, and accuses the Imperial Concubine of compromising Ni Huang’s reputation. 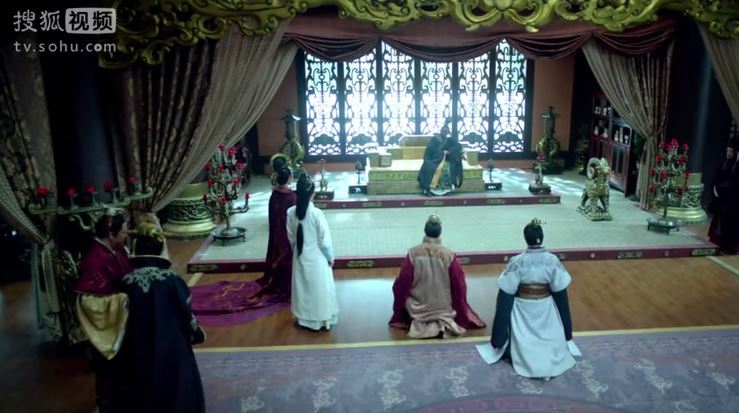 The case is relocated, when Ni Huang protests to the Emperor. With Concubine Yue denying all the charges against her, more and more witnesses are brought forth. 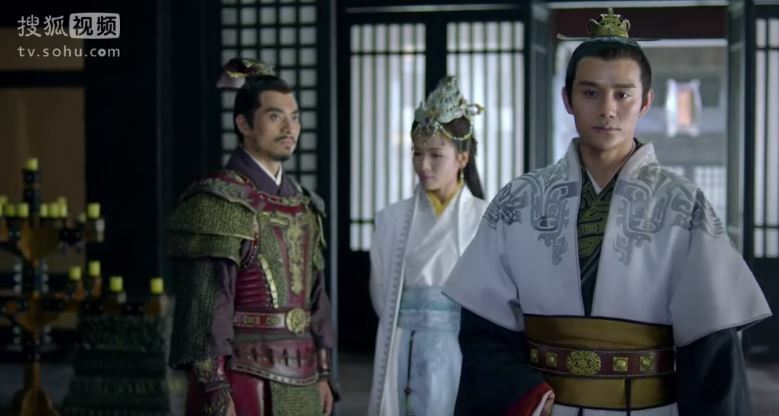 Meng Zhi enters to report that he captured the offending suitor in the inner palace (highly inappropriate for a strange man to be wandering through the palaces of the Emperor’s women). 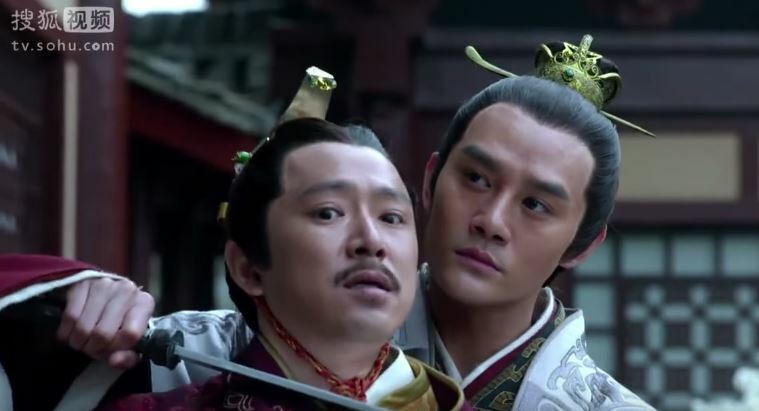 Jing Yan is forced to admit his wrongdoing of threatening the Crown Prince’s life. The Prince of Yu perfectly times his entrance to explain Jing Yan’s sudden appearance in Concubine Yue’s palace as his order. 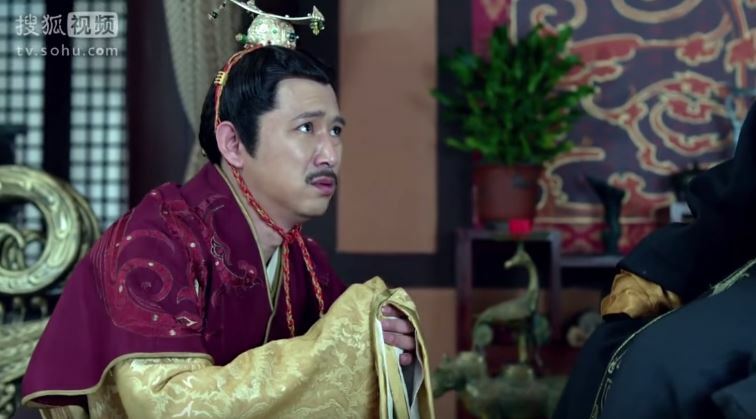 The Emperor praises the newcomer’s quick judgment of supposedly sending Jing Yan to Ni Huang. Jing Yan is rewarded with net zero, as his transgression is negated by his rescue. Outside, Ni Huang knows that Jing Yan was never sent by the Prince of Yu, and she asks how Jing Yan knew of her danger. Jing Yan points to Meng Zhi, who is hilariously bad at lying, and he finally reveals that Mei Chang Su was the informant. Ni Huang smiles, knowingly. 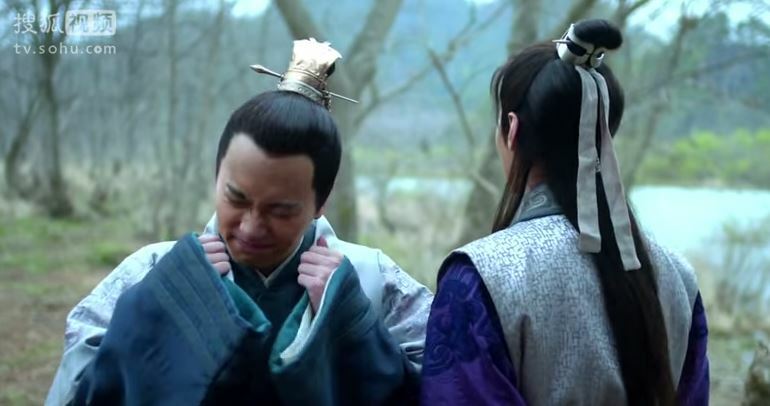 Meanwhile, the Prince of Yu tells his mother that Mei Chang Su had advised him to take the glory of Ni Huang’s rescue for himself, which is what ended up saving Jing Yan from outing his information source (e.g. Meng Zhi). The two of them gleefully note that Ni Huang would now feel indebted to the Prince of Yu, and be more inclined towards him. Jing Yan meets with Mei Chang Su, warning him that he’ll only accept him as his advisor if he can abide by his bottom line. Jing Yan does not want to use and hurt innocent people in his path to the throne. He saw Ni Huang’s case as a calculation by Mei Chang Su. Hurt, Mei Chang Su agrees to Jing Yan’s request. On the outskirts of the Imperial City, Jing Rui and Yu Jin are taking a break in a forested area, when they bump into a wounded Xia Dong. They try to help her injuries, when the trio is ambushed by numerous assassins. 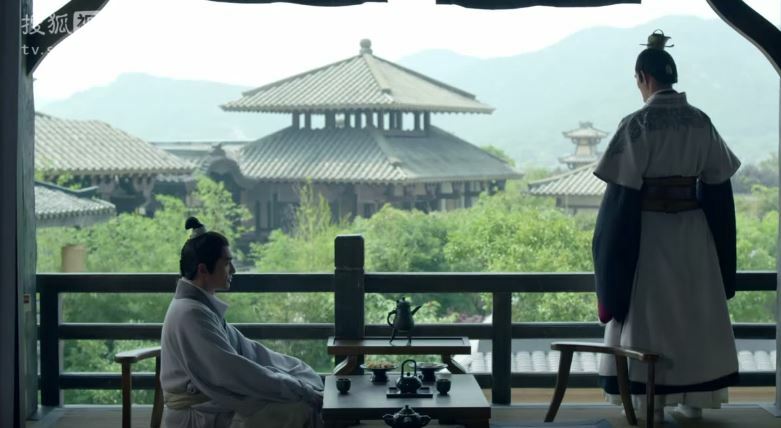 This entry was posted in Chinese Dramas, Drama Recaps/Reviews and tagged 琅琊榜, Episode 5, Episode 6, Episode Recap, Hu Ge, Lang Ya Bang, Liu Tao, Nirvana in Fire, Wang Kai. Bookmark the permalink. I don’t really understand the case of the prime minister.. At ep 1 it was revealed it is crown price people crime. Thanks for the recap really appreciate it? PLEASE continue these recaps! They are super helpful and awesome for people like myself who cannot fully understand the little details!